Wotton Printers are able to offer a Large Format Printing Service to customers in Newton Abbot, Exeter, Paignton, Plymouth, Torquay and the surrounding Devon areas, using our state-of-the-art large format printing press to print big, beautiful materials that suit your needs. If you are looking for larger than life materials to stand out from the crowd, Wotton Printers can work with you closely and help you decide what kind of materials will work for you and your business. It’s no good ordering an exhibition stand if you have no plans to attend networking events in the coming months. From posters to display stands, banners to exhibition graphics, the team here at Wotton Printers have you covered for all your large print needs, where standing out from the crowd has never been more difficult. Businesses everywhere are looking for effective ways to market their products or services, and printers are regularly called on to help them achieve this. Competition is fierce, and it’s important that your marketing campaign is better than your rivals. With that thought in mind, why not go bigger and better with your marketing efforts? Posters are one of the most cost-effective ways to advertise on a large scale. You can buy items in bulk for a small price, retaining all the quality that you would get with a brochure or magazine for example. You only have one page to produce the goods though and this can sometimes be a problem. What information do you include? What are the key points? What do my customers want to see? These are all crucial things you need to think about if you poster campaign is going to be successful. Wotton Printers have years of experience printing posters for people in Newton Abbot, and with our modern large format printing press at our helm, nothing can stop us in our quest to help you stand out. Banners can come in many shapes, sizes, styles, materials and colours, and can be used internally or externally to market your business. Whether you are looking to promote new products or services, inform customers about upcoming events or sales, or you are changing location, banners can be an extremely effective way of getting your message out there with ease. The Wotton Printers team love taking your ideas for banners and bringing them to life. 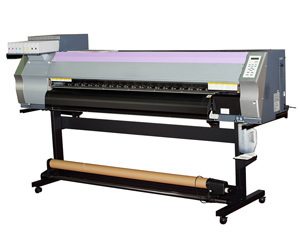 Don’t waste any time contacting us if you would like to speak about banner printing. Pop Up Displays are a great way to get your message across to potential customers too. They can be used at exhibition shows, conferences, networking events, or even in your shop, and the best thing about them is, they can recycled at different times depending on what you are marketing. Simply pop them down and store them safely away ready for the next season or sale. Choose Wotton Printers for your Large Format Printing needs in Newton Abbot. 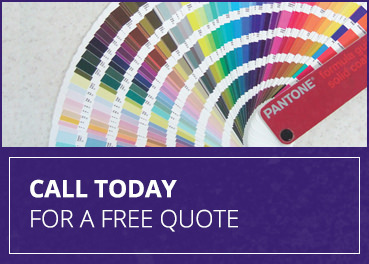 Call us today on: 01626 353 698 and talk to one of our knowledgeable printers regarding your different options.